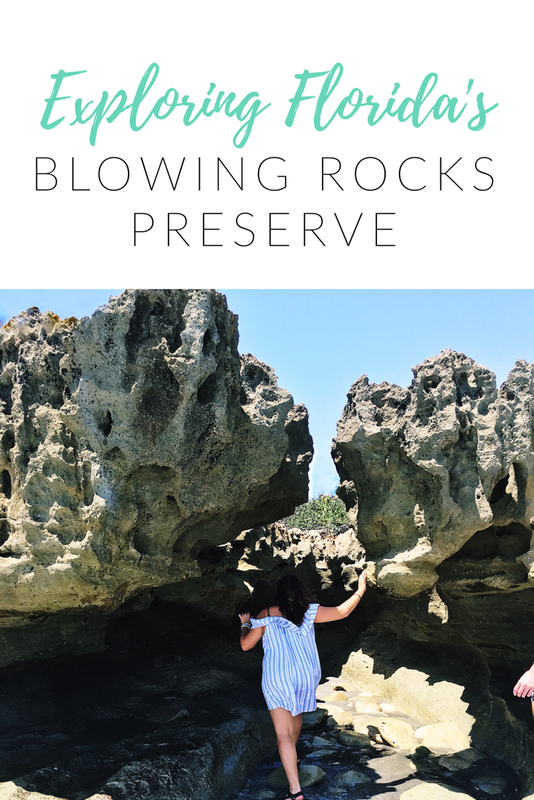 Exploring Florida's Blowing Rocks Preserve — Beck! What the Heck?! Blowing Rocks Preserve in Hobe Sound, Florida is a beautifully unique Florida beach. Blowing Rocks is famous for having the largest shoreline of Anastasia Limestone on the East Coast of the United States, and gets its name from the way water shoots up through the rocks during high tides and storms. At the park you can go to the beach and walk on the three hiking trails within the conservancy. Pin me so you don't forget! I first found out about Blowing Rocks by chance, just looking for something to do a couple of years ago. It was so beautiful that I had to make sure we visited during Jess and Tyler’s Summer of Fun. 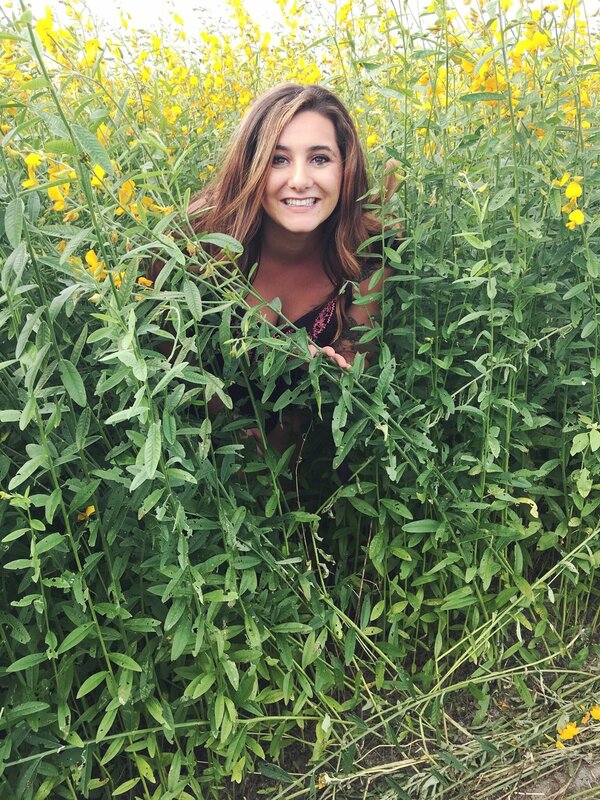 You walk through tunnels of mangroves out to the beach where you can climb on and in all of the rocks on the shore, and swim in the ocean, it almost doesn’t even feel like Florida! You may want to wear shoes a little bit more protective than simple flip flops if you plan to be climbing the rocks, I wore my Tevas last time and they were perfect. Here are my photos of the day at the preserve so you know what you're missing!